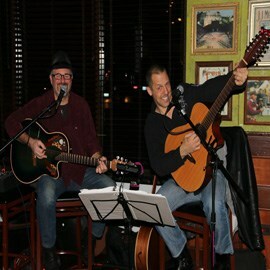 The Acoustiholics are a professional and diverse Solo, Duo or Trio ready to entertain listeners of any variety of ages! 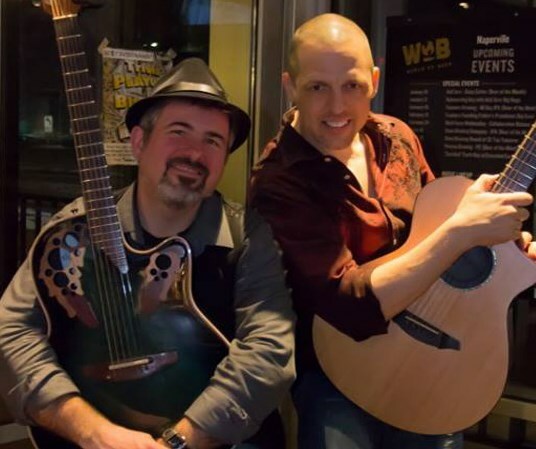 From your local bar or festival, to your living room, backyard or banquet hall the Acoustiholics are perfect for anyone who enjoys live music! We have played occasions from high school reunions, political fundraisers, corporate events, wedding cocktail hours, and a multitude or public and private events! As a solo, duo or trio, we are your answer for live entertainment! We are frequently asked to play longer at shows because our fans like us so much! We are happy to oblige! We truly enjoy performing songs that everyone relates to, the songs people grew up with, can dance to and the ones in which they love to sing along! Our biggest compliments comes from people, young and old, who sing, dance, or just tap their feet along with us! We have testimonials from people that have hired us below! We play Rock and Country to Reggae cover songs, from the 60's to today's current hits. OUR addiction is YOUR entertainment! The Acoustiholics have got you covered! "If you're looking for a fun and unique way to provide your guests with some awesome live entertainment, The Acoustiholics are truly the best! My sister and I threw my parents a 50th birthday bash at our home and we wanted to make their birthdays extra memorable. The night of the party, everyone was raving about how awesome the performance was! The Acoustiholics made my parents' birthday bash a night to remember as everyone sang, danced, and enjoyed each other's company. We would definitely recommend booking the Acoustiholics for any event for an awesome acoustic live performance!" Steger Fest, Rock N Grill Restaurant (Grand Opening), Millennium Park Grill, Boy Scouts Of America Dinner Awards Ceremony 2017, Joliet Fraternal Order of the Police Golf Outing (4 years running), Joliet Big Brothers/Big Sisters Fundraiser at the Jacob Henry Mansion (3 years running), Cress Creek Golf Club, Chicago Highlands Country Club, Joe's Live in Rosemont, Naperville Junior Women's Club Ladies Night Out (4 years running), Skydive Chicago, Will County Board Caucus 2016, Iron Horse Saloon Oktoberfest and over 100 private shows from graduations, High School Reunions and block parties to birthdays and retirement events! Please note The Acoustiholics will also travel to Cicero, Berwyn, Oak Park, Forest Park, Hines, Lyons, Riverside, Brookfield, Maywood, River Forest, Summit Argo, Carol Stream, La Grange Park, Bellwood, Bedford Park, Melrose Park, Westchester, Burbank, Bridgeview, Hillside, Hinsdale, Hometown, La Grange, River Grove, Stone Park, Western Springs, Berkeley, Franklin Park, Justice, Norridge.